Have you heard of collagen protein? It’s about time you did. If you pay any attention to the health supplement world, you’re probably familiar with collagen, the protein source many people are now mixing into coffee and smoothies. If you’re not familiar with it, you may have heard the word thrown around in skin care advertisements – that’s because collagen is the main structural protein found in our skin, bones, ligaments and muscles. So, let’s get to the bottom of this. Should you add collagen protein to you daily supplement regimen? Can it replace your current protein powder? Wait, it’s not a complete protein? While collagen is a significant protein source in your body – accounting for 30 percent of your body’s chemical protein makeup – it is not what we call a “complete protein”. Collagen contains only 8 of the 9 essential amino acids (there are a total of 20 amino acids our bodies use to carry out a host of important bodily functions including building and repairing muscle tissue. Of these 20, nine amino acids are considered ‘essential’, meaning they are not produced by our bodies and can only be acquired through outside protein sources). Complete proteins, like animal meat or whey protein, contain all of them. 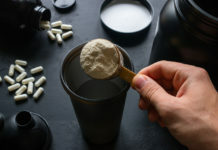 While it’s likely you will get the missing essential amino acid from another food source throughout the day, collagen probably shouldn’t completely replace your traditional protein supplements like whey or casein. If it’s not a ‘complete protein’ then what’s it good for? 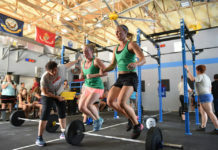 Think of collagen more as a supplement – a health bonus shot – one that CrossFit athletes in particular can benefit from. While it may help your hair, skin and bones, collagen seems to shine at improving joint pain. This study analyzed joint pain at rest, while walking and while lifting – yeah, we bet you’re listening now. In the study, 147 athletes who competed in varsity or team sports were given either 10g of collagen or a placebo. The results? The group who consumed 10g of collagen showed statistically significant changes in joint pain when compared to the placebo group. Another study showed improved bone health, including density and improved cartilage, in those with osteoarthritis and osteoporosis who were supplementing with 12g of collagen daily. Supplementing with collagen protein is arguably easier than any other protein powder. The powder, which is essentially tasteless, odorless and dissolves into anything very easily, can be mixed into anything from coffee to protein smoothies to your morning oatmeal. Let’s circle back to our original questions. Can it replace your current protein powders (whey or casein, for example)? Should you add collagen protein to you daily supplement regimen? 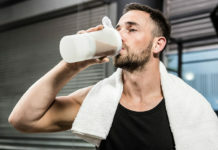 Since collagen protein isn’t a complete protein, we wouldn’t recommend it as your post-workout muscle-building protein source. However, collagen protein does have a place in most people’s supplement routine. Consider supplementing with at least 10g of collagen daily to combat joint pain and inflammation. Looking for a good source of collagen protein. Give Swolverine’s Collagen a try. 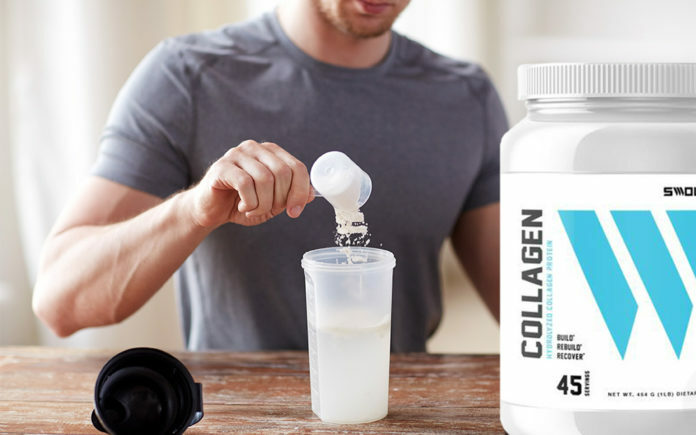 Swolverine’s Collagen Protein is made with pure hydrolyzed collagen peptides. Unflavored and virtually tasteless, you can add it to your coffee, smoothies, shakes, and even to your baking recipes to get an added boost of protein whenever you may need it. Does Protein Timing Really Matter for Recovery & Performance Gains?